A term in French referring to a group form of hide-and-seek traditionally played at Sacred Heart Schools. Jouer à cache-cache: to play hide-and-seek. A theological term signifying a special gift or vision given to an individual for service to the church. The individual may found a religious community to help fulfill the gift or vision. The Congregation of the Children of Mary, whose primary purpose was the spiritual formation of the students of the Religious of the Sacred Heart, was first formed in Amiens in 1816, in the Paris school in 1820. In 1832, since the rule of cloister prevented the religious from leaving their convents, Mother Barat organized a group of former students in Lyons to perform work of service, especially for the poor and needy. From these roots grew sodalities, or religious fellowships, for the various levels of students: the infant Jesus Sodality for the lower school, the Sodality of St. Aloysius for the middle school and the Sodality of the Holy Angels for the high school. The Children of Mary became the sodality to which students in their last year of high school and in college aspired. The initials E.deM., which a member wrote after her name, stood for the French Enfant de Marie. While the aims of such religious fellowships are met in different ways today, in some Sacred Heart Schools members of the former sodalities still gather for days of prayer and reflection. See this page for more details. How do I contact Children of Mary Sodality? Song common to many Sacred Heart schools. Seigneur, Seigneur, Vous nouse l’avez promis. What is the translation of Coeur de Jésus in English? Lord, Lord, you have promise us this. Where can I find the sheet music/score for Coeur de Jésus? Cor Unum is shorthand for Cor unum in Anima Unum in Corde Jesus which translates from the Latin to mean: One Heart and One Soul/Mind in the heart of Jesus. This phrase expresses the deep desire of St. Madeleine Sophie Barat, that the members of the Society of the Sacred Heart be closely united in the Heart of Jesus. The Society’s internationality is the fruit of Sophie’s hope and generations of RSCJ remaining faithful to her vision. Where can I find a list of Feast Days? Feast Wishes, an historically important tradition, today is an all-school gathering before the Christmas holiday during which students present the gifts of music and cards to every member of the administration, faculty and staff. Today, goûter is a special treat to which students in Sacred Heart schools look forward to special feast days and holidays. Goûter: to taste. Independent schools are non-profit private schools that are independent in philosophy: each is driven by a unique mission. They are also independent in the way they are managed and financed: each is governed by an independent board of trustees and each is primarily supported through tuition payments and charitable contributions. They are accountable to their communities and are accredited by state-approved accrediting bodies. For more information visit the National Association of Independent Schools. 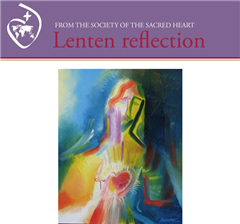 The International Passport is a small card that identifies the holder as a member of the worldwide Sacred Heart community. It is usually given by the head of school at the end of the school year to members of the graduating class. From where may I order International Passports? You can do so directly through our online store. Do I have to be a current student to order an International Passport? No, any alumni/alumnae are able to obtain an International Passport. The pastoral leader (bishop or archbishop) who oversees the Catholicity of institutions within his diocese (a specific geographical area). A gathering of students and their teachers, Primes traditionally was the moment during which students received cards indicating assessment of their conduct from the previous week. A card imprinted Très Bien signified “very good” in behavior; a card with Bien meant “good;” a card with Assez Bien meant “good enough,” or rather “not good enough.” Today, Primes, sometimes called Assembly focus on students’ growth as learners. The school year typically ends with a prize ceremony. This formal assembly provides time to recognize students for their achievements in the areas of academic growth and character development. Religious of the Sacred Heart (RSCJ) who as leader is the governing authority for one of the geographical areas of the Society of the Sacred Heart. The Society of the Sacred Heart is structured into provinces which are geographic regions. The leader of this designated region is the provincial. She works with a group of sisters named the Provincial Team. A provincial is appointed by the superior general after consultation of the members of the province. The provincial appoints the provincial team is appointed by the provincial and, together with her, offers guidance for the spiritual, apostolic, and professional direction of the members of the province. Sacred Heart school with an upper school hosts a ring ceremony every Spring during which Juniors are given their school rings by members of the Senior class. Appointed by the Provincial Team, who remains ultimately responsible for the implementation of the Society’s mission in the Schools of the Network, SHCOG provides a system of accountability for mission as expressed in the Goals and Criteria. The membership of SHCOG consists of the Head of the Conference of Sacred Heart Education, ex officio, the Head of SHCOG and representatives from the following areas of the school: trustees, heads, middle managers, and faculty. SHCOG is accountable to the Provincial Team. French for “very good;” historically this was the highest “note” or “mark” given during weekly assemblies in recognition of the previous week’s work. Sprout Creek Farm is a working farm in Poughkeepsie, NY run by the Society of the Sacred Heart and visited by various grades for field trips, exchanges, and summer enrichment. See this page for more details. What are some opportunities to support and visit the farm? What is the contact information for Sprout Creek?